The owner was very helpful, thoughtful and kind. The property is very comfortable and cozy. Great location as well. The hotel staff was very communicative and helpful, the villa was very very clean, it was warm and comfy, I will return here again with my family for sure. 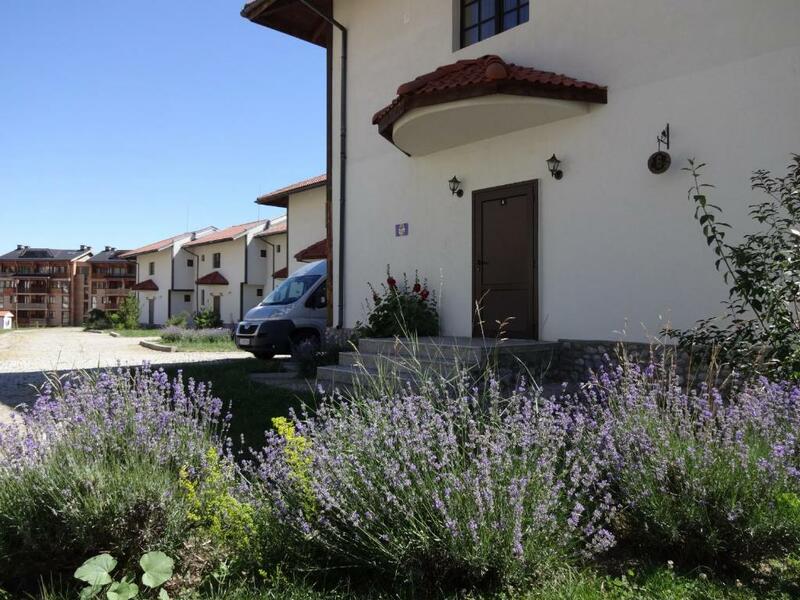 Surroundings, very comfortable beds, nice living-room, nice pool, 5 min max by car to the car parking at the gondola and 15 min walk to the restaurants/pubs area. Clean, spaceous and in a very quiet area. 5 min with the car to the gondola. Very quiet place, away from the noisy center. The villa was clean and very warm. The staff was very friendly and the owners too was ready to help for everything. We enjoyed our winter family vacation at this place a lot and the children’s loved it. Excellent value, lovely pool, quiet secure location with parking. Villas are basic but spacious and comfortable. The lady at the front desk spoke good english and was very friendly and helpful. It is a spacious place. It is very quiet - on the outskirts of the town. It is separate building - so we have got our privacy. The parking lot is near the apartment entrance. It is family friendly - you got the baby cot and chair on request. There is a spacious swimming pool. The room service is coming every day. The whole place is guarded 24 hours. The staff and the owner is very friendly. 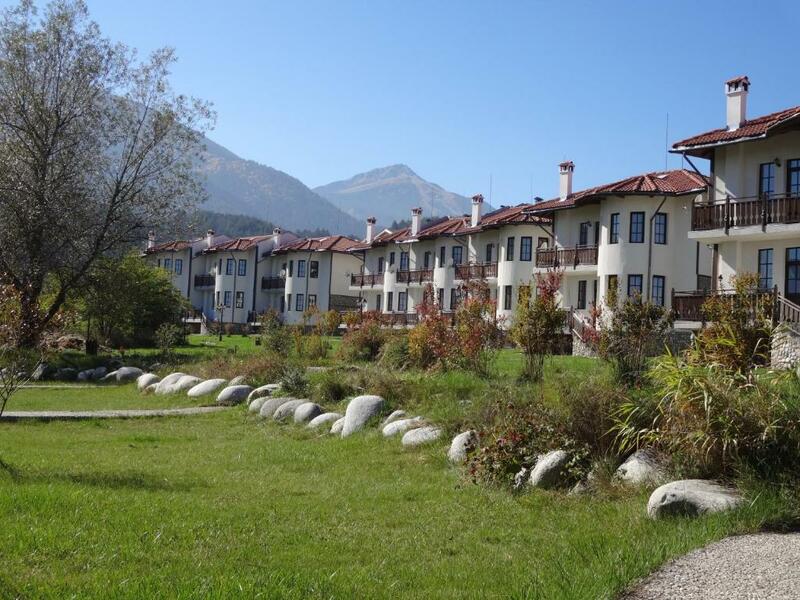 Lock in a great price for Bansko Castle Lodge Villas – rated 8.9 by recent guests! 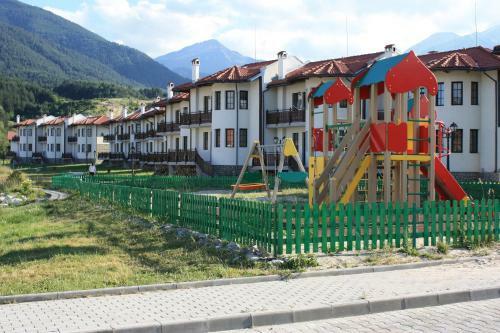 Bansko Castle Lodge Villas This rating is a reflection of how the property compares to the industry standard when it comes to price, facilities and services available. It's based on a self-evaluation by the property. Use this rating to help choose your stay! One of our best sellers in Bansko! 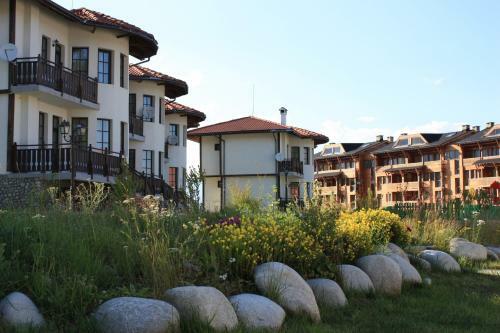 Bansko Castle Lodge Villas is a newly built complex in the characteristic style of Bansko, located in the Saint Ivan area, boasting Pirin and Rila Mountain views. The ski elevator is about 1,950 feet from the Castle Lodge Villas and transfer can be arranged free of charge during the winter season. On the lower floor of the villas there is a fully equipped kitchen and the living room, while the bedrooms are on the top floor. Guests can benefit from using a spa center with swimming pool, sauna and massage services. 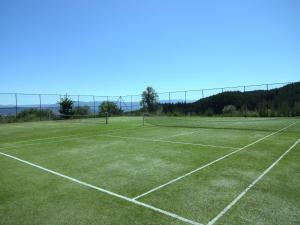 During the summer a tennis court can be used free of charge. Barbecue and firewood can be used at a surcharge. Castle Lodge Villas can provide catering services upon request. 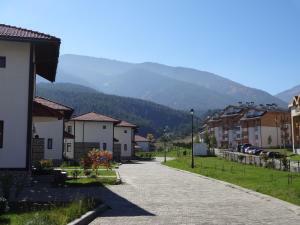 When would you like to stay at Bansko Castle Lodge Villas? It includes two bedrooms; one with a double bed and a second one with 2 single beds. Three-bedroom villa with a large open-plan room with kitchen, bathroom with shower and a dining area with fireplace on the first floor. On the second floor are 2 bedrooms and bathroom. An extra guest can be accommodated in the large sofa bed available in the seating area. Free Wi-Fi Internet, a fireplace, all necessary utensils in the kitchen and bathroom toiletries are included. This suite has a toaster, bathrobe and washing machine. This villa features a balcony, private entrance and patio. 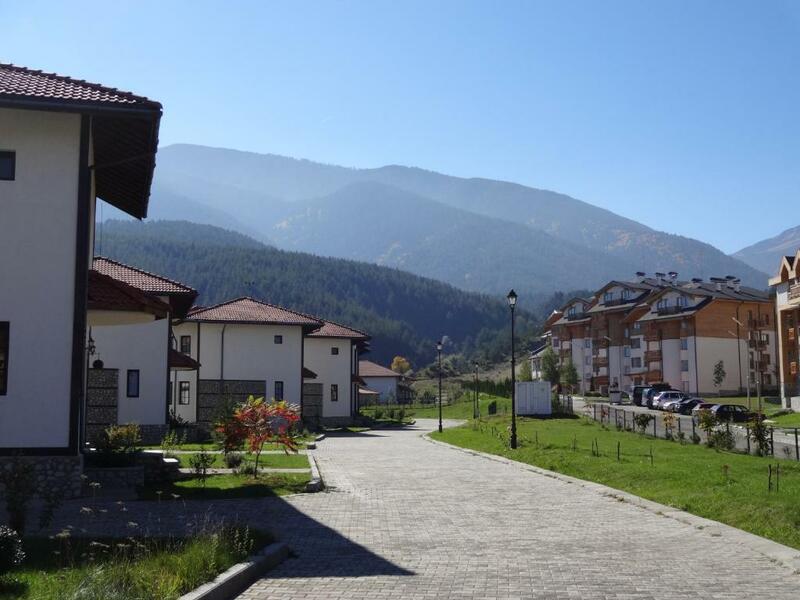 House Rules Bansko Castle Lodge Villas takes special requests – add in the next step! Bansko Castle Lodge Villas accepts these cards and reserves the right to temporarily hold an amount prior to arrival. Please inform Bansko Castle Lodge Villas of your expected arrival time in advance. You can use the Special Requests box when booking, or contact the property directly using the contact details in your confirmation. Beautiful place not far from the ski gondola. Maybe the fact that is not in the center, but i don t consider it quite a problem. The food - it was terrible, cantine like The house was very cold Cleanliness - housekeeping in just 2 days from 7. Nice, cosy villas. Friendly staff. Some of the villas could do with a little maintenance. The kitchen is hardly suitable for the needs of the large family. Electric stove top have 2 burners; there is no oven or microwave. There is no dishwasher - it is really annoying. The location has also some disadvantages - it is far from the main street with all the shops and restaurants. It is possible to reach it by foot, but the route is not very pleasant - in some places there are no pavement. Some renovation is needed - but on the whole the condition is good for 3 stars. the building has construction problemes .